The Office of the Military Ombud met strategic stakeholders at the Military Ombud Symposium held under the theme: “Ombud institutions in search their independence and impartiality” in Centurion last week. 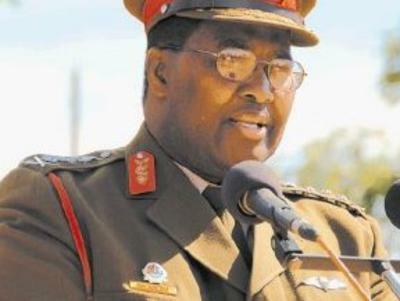 Speaking to delegates on 9 June, Military Ombud Lt General (Ret) TT Matanzima said they have witnessed a lot of transgression by some members of the Department of Defence since the establishment of their Office, when it comes to the application of policies at the expense of the soldiers. Matanzima said a lot of complaints they have received over the last five years have been to do with non-compliance with the application of policies which has disadvantaged a lot of soldiers on issues like promotion, transfers, job classification and grading, appointment and appointment processes, salaries, allowances and service benefits amongst others. “As an Office we have seen a reduction in these transgressions by members who are supposed to apply policies in place and this is through our recommendations and remedial actions to the Minister of Defence. A number of soldiers now have confidence in our office as we have assisted them with their grievances after they couldn’t get solution through other processes,” said Matanzima. Matanzima said this at the celebration of their Annual Symposium which also coincided with the swearing in of the Deputy Military Ombud Adv Rendani Marivate who was appointed by President Jacob Zuma in 20 February 2017. Speakers such as Advocate Richard Sizani, Dr Somadoda Fikeni, Mr Mark Alves and Mr Helmoed Heitman came together to share ideas. The discussion intended to deepen an understanding of the concept of the Ombudsman’s and their functionality. In his key note address Judge Francis Legodi said an Ombud plays an important role of being a servant of people and a person who is concerned about those who have less powers and resources to fight those in a position of authority. Judge Legodi speaking to the theme on impartiality said impartiality is a call for even handedness. “It is a call for a fair mindedness. It is a principle of justice holding that the decisions or recommendations you make as Ombuds, should be based on an objective criteria, rather than on the basis of bias, prejudice or preferring the benefit to one person over another for improper reasons,” said Legodi. On Independence Judge Legodi said whilst the appointment of Military Ombud and Deputy Ombud is by the President in terms of section 5(1) of the Military Ombud Act, there are worrying features which may have a negative bearing on the independence of Military Ombud and the Deputy Military Ombud. “In terms of subsection (11) of the Military Ombud Act, the Minister of Defence is entitled to assign to the Ombud any other additional functions which are not inconsistent with the Act”. “This raises other questions. To whom is the Ombud and the Deputy Ombud accountable? Are they accountable to the President who appointed them or to the Minister? This legislative arrangement has the potential to obscure the independence and impartiality of the Office of the Military Ombud. I suspect that other Ombud institutions have similar legislative challenges,” said Judge Legodi. Matanzima said it has been a torrid five years as an Office as they had to juggle the cases lodged by the SANDF members and also at the same time trying to learn the best practices in resolving cases. “It hasn’t been a smooth ride as in the beginning we have witnessed resistant by the Defence Force to provide information as we conduct our investigations. Despite all that we have soldiered on with our work and today we can proudly say more than a thousand workers of the defence have seen justice prevailing,” lamented Matanzima. The Office of the Military Ombud was established to investigate and ensure that complaints against the SANDF are resolved in a fair, economical and expeditious manner.